I have issue #6 of the Russian flexi record magazine named ”Krugozor.” . It is the size of a 45 rpm record, and it contains 6 milky white double sided flexi records. ”Krogozor” is made after the same receipe as the French ”Sonorama” . On the Krugozor records and in the articles, most is English spoken. So, I guess this was propaganda for foreigners. 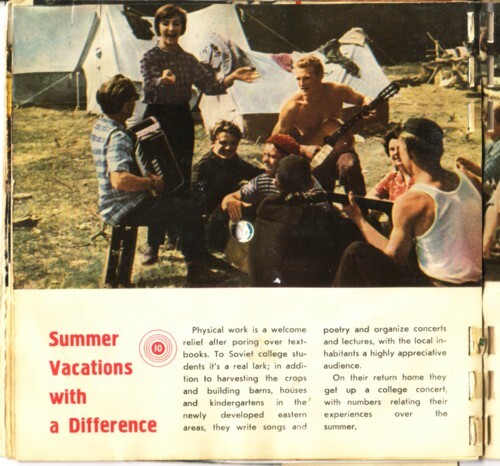 When you read this audiozine you get the impression that Russia in the sixties was heaven on earth. I wish I had the complete collection of Krugozor. How many issues have been released? And were they al in English? And did all the issues feature such weird recordings like this ? This was more than a little disturbing. Strange and interesting material. What does the page show? Hello. This is an interesting item since, as far as I can tell, Krugozor was usually only in Russian language – I wonder if this one was a ‘special’ English edition or if there was a parallel series in English? 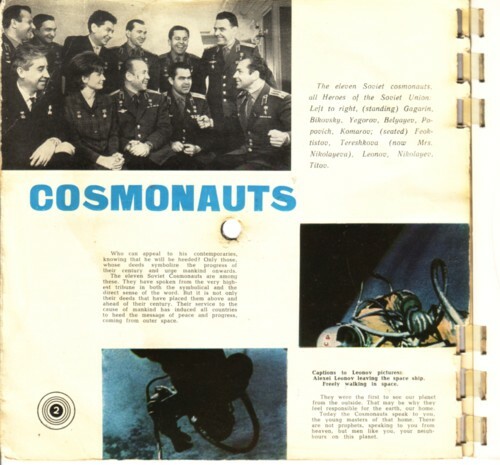 I have an English-language issue of Krugozor, complete with flexi-discs, which was produced specially for Expo 67 in Montreal and was sold at the Soviet pavilion there. 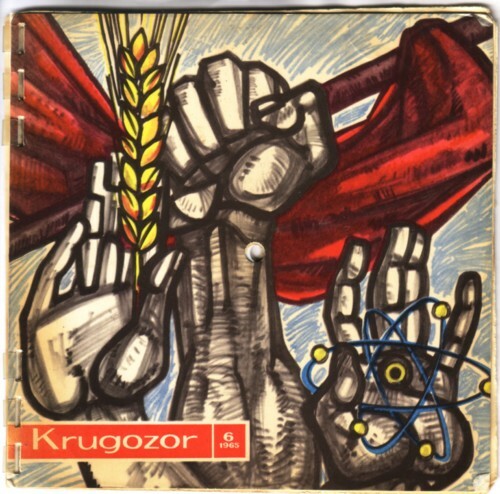 I would like to hear from anyone with further information on the Expo 67 edition of Krugozor. Hey! that’s very interesting! Do you have more info about tha issue? I writing a podcast about music and propaganda and I would like to know what kind of music you could find in these magazines, etc. I don’t speak Russian and it’s very difficult to find info about that in english!